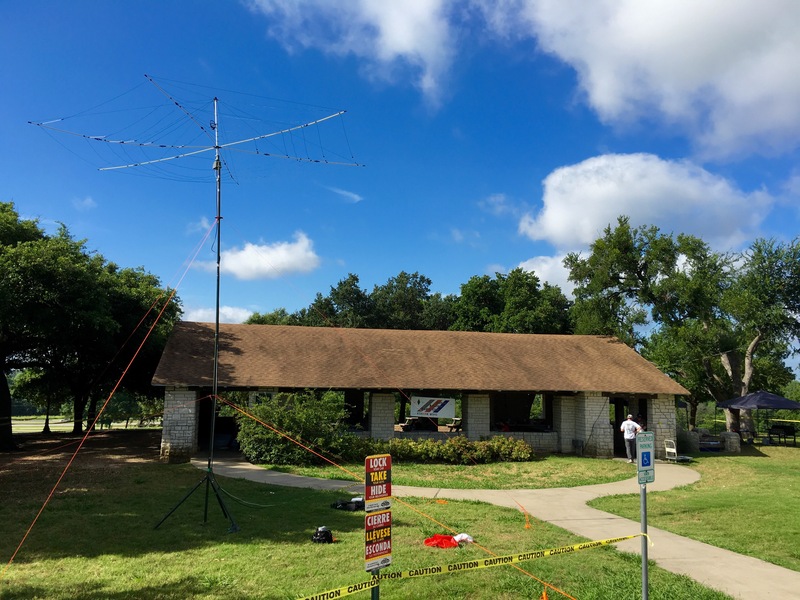 DARC crew setting up for ARRL Field Day 2016 – we are at Flag Pole Hill Here in Dallas TX – station W5FC. Looks great! I’ll be sure and bring my wet laundry by to hang up on that fancy clothesline you boys have strung up… One question though, why so high?